Who should make up the Ultimate Legion team? 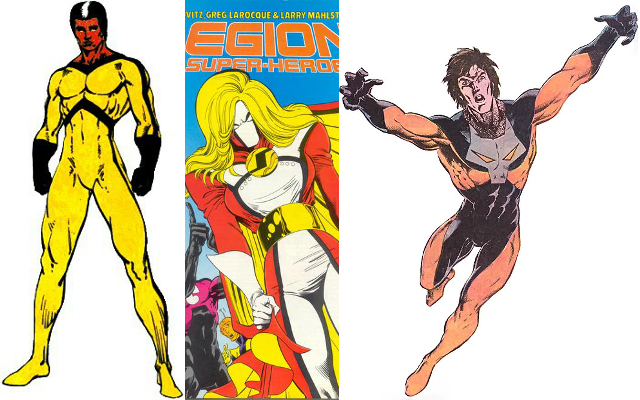 If we were to form a single Legion with the best version of all the best characters, what would that team look like? Our panel selected characters from across the Legion's many eras after a long debate (see Part 1 and Part 2 for transcripts). Unsurprisingly, the one era in which the team was at the height of its popularity was represented the most. Let's walk through the team members era by era. Our panel thought the original Lightning Lad, before or after the lost arm, was the way to go with one of the Legion's founders. Later versions had Lightning Lad too much the hothead, to the point where he was often just being stupid. Everyone thought the Jim Shooter Karate Kid was the best version of the character. He was also safely away from Keith Giffen's clutches. Sorry, Mon-El fans: our panel liked Mon-El kept safely in the Phantom Zone where he wouldn't take up too much space being a less interesting version of Superboy. This was by far the most represented era, and it's logical for two reasons. First, it's the most popular the Legion has ever been and really the point in time when the series hit its stride creatively. Second, it's when most of us on the panel cemented our love of the team. 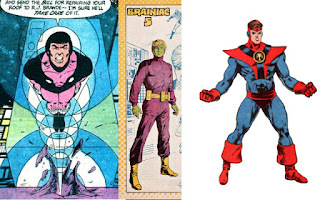 The panel was lukewarm on Cosmic Boy, but it's difficult to leave one of the Legion founders out. Of the various incarnations, the one that didn't have to be the Legion's leader got the most support. He also was the subject of a powerful spotlight issue in which he got to show he could be every bit as powerful as Magneto. The panel prefers its Brainiac 5 to not be the raging egomaniac that later interpretations would place on the character. We also prefer a sane Brainy, so we'd like to avoid his distressingly frequent breakdowns. Later versions of Colossal Boy were kind of jerks, and we prefer our Gim Allon to be a lunkhead, but a friendly lunkhead. The fact that this Gim is married to Yera, who we'll see later, also makes for a nice match. There weren't many Bouncing Boys to pick from, but our panel prefers the one who teaches at the Academy. 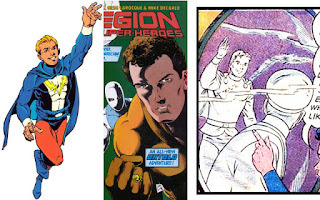 There was a bit of a split between Levitz Element Lad and Five Years Later Jan, but the Levitz one, who is one of the Legion's best leaders ever, ended up winning out. 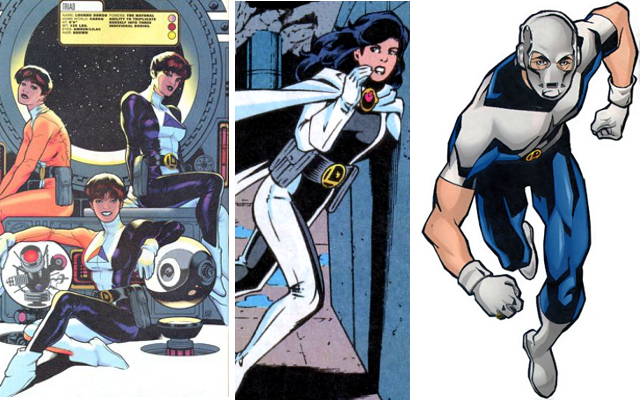 We also like this Element Lad paired up with Shvaughn Erin, one of Levitz's stronger female characters. Our preferred Sun Boy is the fiery, flirty Sun Boy that Levitz turned into a major character. The other versions of the character just really failed to shine like this Dirk Morgna. Of the Invisible Kids we had to pick from, the panel overwhelmingly preferred Jacques Foccart. 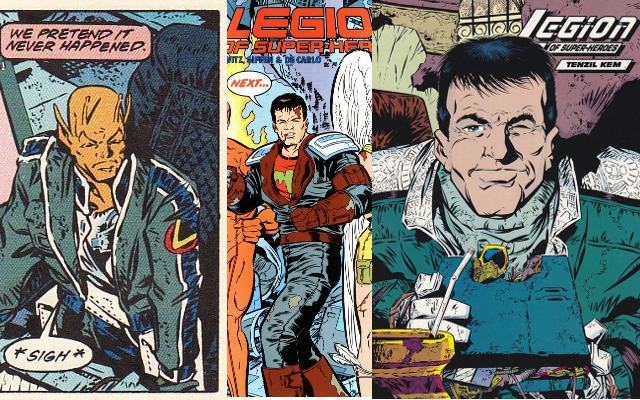 We're not sure if this means that Lyle Norg should not have existed or if he's better for the Legion mythos when he's dead and Jacques has a legacy to live up to. 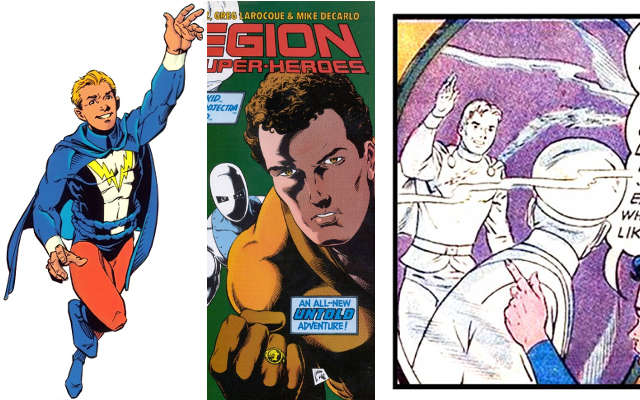 In any case, the Legion's "first adult member" gets the nod. Sensor Girl ended up just barely winning over Queen Projectra. In either case, Levitz built a powerful portrayal of a monarch who's lost the love of her life. Everyone loved this version of Jeckie over the snake and the psycho murderer. Timber Wolf was an easy call for the panel: we all like the version that's just a little dim and impatient, but overall a good guy. 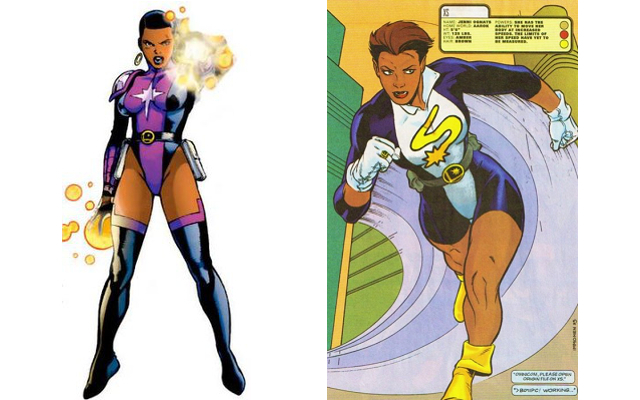 Some members of the panel had questions about how Dream Girl has been portrayed in all of her incarnations, but ultimately, the one who reminded us all that she was a genius and was an effective Legion leader was our pick. 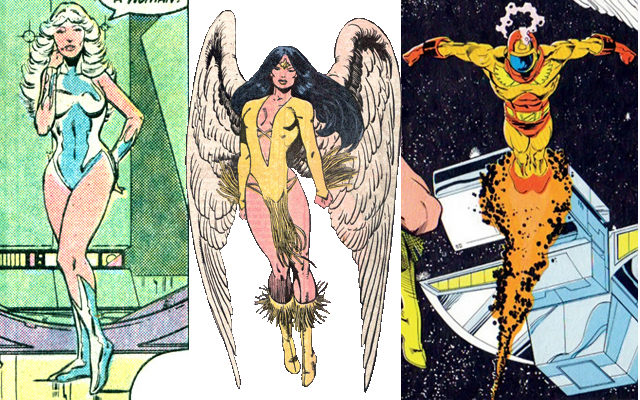 It wasn't difficult to pick the Levitz Dawnstar, as he seems to have been the only writer to really do much interesting with the character without making wholesale changes for the sake of change. Wildfire was wildly popular under Levitz, and with good reason. Attempts to capture that magic in later versions just paled in comparison. Everyone loves the couple of Blok and the White Witch. They just work so well together. There are some questions about whether or not magic works well in a futuristic science fiction setting, but overall, the panel liked having both of these characters along. It's a credit to Paul Levitz that he made Polar Boy interesting enough to be elected leader by the fans. His V3 take on the character is easily our favorite. Giffen's Five Years Later Legion held lots of controversy for many of the panel members, but it did produce our favorite versions of three characters. Giffen's take on Chameleon Boy as someone who's embraced being a Brande and become just a little world weary ended up beating out the other versions of the character, who each received a vote. It appears to be difficult to do this character completely wrong, and out of all the ones we liked, Giffen had the most popular. 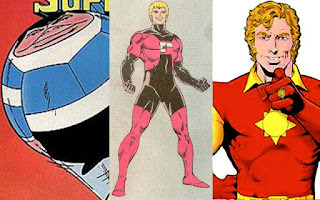 The panel thought Giffen's Ultra Boy had really grown into himself as he aged. He had the aspects of the character that we all love and also avoided being a mimbo, as his later incarnations would sometimes fall prey to. The panel also thought Giffen did the definitive take on Matter-Eater Lad, and later attempts to do something with the character paled in comparison. Like the Five Years Later team, the reboot team had a number of characters that everyone universally hated, like Monstress and Sensor. However, the team did include some real gems. 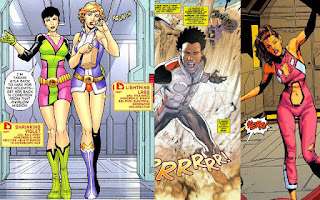 The panel's favorite version of Luornu Durgo was reboot's Triad, which added the twist of each self having its own personality and cast the character as Brande's assistant, which made for a logical origin. Thankfully, the character grew beyond those humble beginnings, becoming a valued member of the team. Having a young Triad and an older instructor Bouncing Boy on the team could lead to some ick moments, but maybe they'll form a loving friendship instead. Apparition was our favorite version of Tinya Wazzo, beating out the Mean Girls version that Levitz wrote in V3. Her upbeat but assertive personality in the reboot was one of the few characters that transcended that early Archie Comics feel the Legion ladies took on. The panel debated whether or not to even include a version of Ferro Lad, but in the end selected the reboot Ferro. If it doesn't work out, perhaps the team will meet the Sun Eater soon. Two characters introduced in the reboot also got the nod. Kid Quantum II received a positive reaction, either despite or because of how much everyone hated the character's brother. Everyone seems to universally love XS. There was no question she was going to be on the Ultimate Legion team. 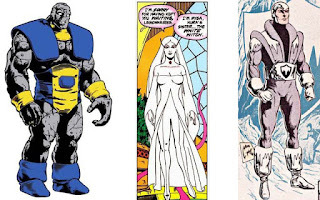 The threeboot era, which is not fondly remembered by most, did offer up our favorite versions of a number of characters. In particular, the era had a number of strong versions of some of the Legion's central female characters. Sorry, Superboy, you aren't appearing in our Ultimate Legion roster. 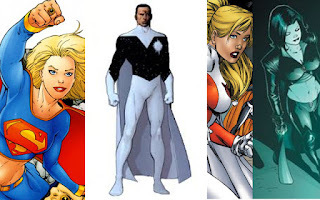 The Kryptonian of choice for us was Supergirl, and the threeboot version, who managed to become elected leader, is the version of choice, though there were some voices for Andromeda, the replacement Daxam version shoehorned into continuity after Crisis. 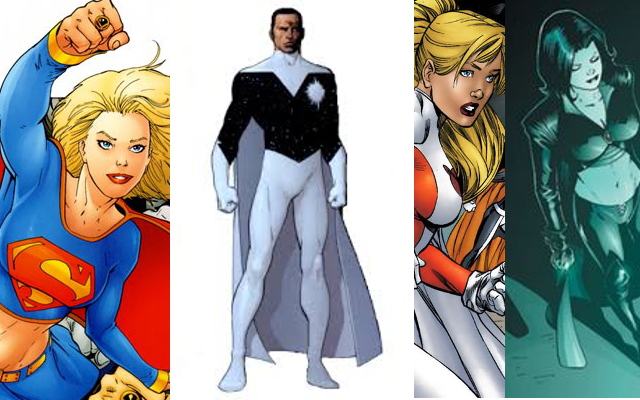 While the original/Levitz version of Star Boy has its fans, the threeboot Star Boy eked out a win for the Ultimate Legion roster. He was often the voice of reason for the threeboot Legion, and he'll also be one of the adults in the room here. 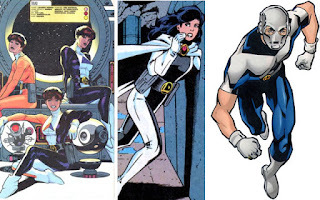 There does not appear to be an unpopular version of Saturn Girl, and ultimately, we chose the version that has the interesting twist of never having had to talk in her life. Mark Waid's most recent take on that character really delved into what life is like for a telepath. The panel didn't think that the best version of Shadow Lass has been seen yet. However, of the ones that have appeared, the threeboot version had the best combination of badassery and independence that the character needs. The retroboot version that slept with the bigot Earth Man was really the only version the panel had problems with. The most recent takes of the Legion, though not the creative heights of the team, did provide us with some of our favorite versions of characters. The panel went with the retroboot versions of Shrinking Violet and Lightning Lass because Levitz continued the progression of the characters' relationship that he started in V3 and that Giffen continued in 5YL, but it was finally acknowledged openly that they are a couple who loves each other. Any of those three versions could have been our favorite, because these are two strong women who have been shaped but not broken by their experiences. The panel wanted Tyroc on the team, and it really wasn't until he was a leader of his own Legion Lost that he really started to shine through. There was some discussion of the 5YL Tyroc being here, but ultimately, the young, active Tyroc won out. Yera didn't really become a Legion member until the retroboot, so it is that version of Chameleon Girl that we chose. Her marriage to Gim and the acceptance of the team that she's earned despite the way that she came into their lives were a plus for the character. In addition, her presence will always be a source of dramatic tension with Violet. That's it. There were 31 other characters considered and left off the roster. Perhaps someday a writer will discover a way to make them interesting to us, but in the meantime, they have not risen to the level of earning a spot on the Ultimate Legion roster. What did we get right? What did we get wrong? Tell us in the comments below.